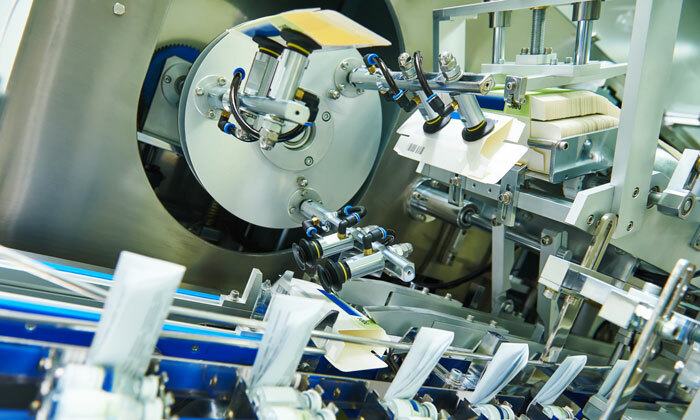 Hot melt extrusion (HME), a manufacturing technique traditionally used in the plastic and food industries, is now attracting significant interest from the pharmaceutical manufacturing sector. 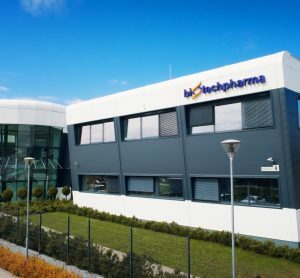 This is primarily because HME enables the continuous manufacture of a wide variety of dosage formulations, including solid dose form, which is of particular importance for poorly soluble APIs.1 Other advantages of HME technology include the ability to incorporate inline process analytical technology (PAT) – enabling a quality by design (QbD) approach to continuous manufacturing – and the capacity to process a wide range of excipients, many of which cannot be processed using established manufacturing techniques. In this work, a set of design of experiment (DOE) tests were carried out and analysed on the HME process using a water-soluble amorphous polymer. The DoE tests consider screw speed and barrel zone temperature as factors and their impact is analysed using a multivariate model. 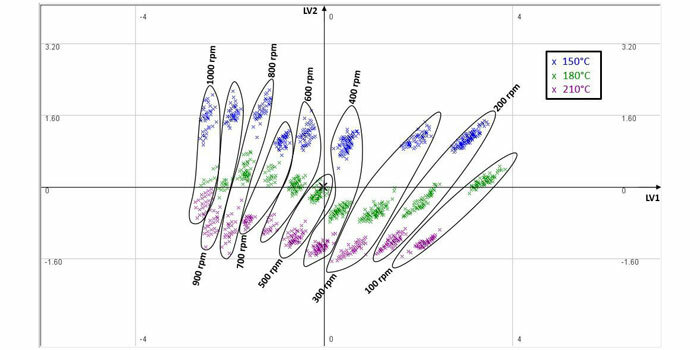 The principal component analysis identifies well-defined clustering associated with different screw speeds and operating temperatures. Furthermore, the statistical analysis also provides information regarding the variations in the material viscosity and its causal effect on the HME motor power/torque. 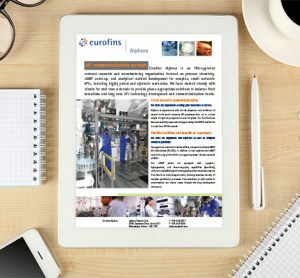 This multivariate analysis demonstrates that the HME process lends itself to critical process monitoring and fault detection, not only in the context of extrudate quality but also for further downstream processing such as milling and 3-D printing of tablets. AFFINISOL HPMC 15LV HME,2 a water-soluble amorphous polymer with a molecular weight of less than 100kDa, bulk density of 0.42kg/L and D(0,5) of 104.49μm, was used within the HME DoE tests. 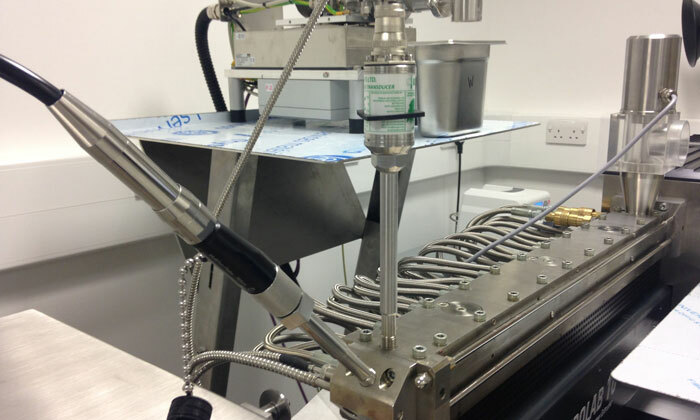 Hot melt extrusion was carried out using Thermo Fisher Scientific’s Eurolab 16 – a 16mm co-rotating twin-screw extruder (Figure 1). The PharmaMV software platform, from Perceptive Engineering, was connected to the HME unit to perform automated dynamic DOE tests. Process setpoints (eg, zone temperatures and screw speed) were adjusted in line with the DoE factorial table, with the process and analytical data aligned and collated through the PharmaMV platform. To facilitate the DoE trials, a user interface was also developed to control the process with PharmaMV. Formulation development using HME requires an understanding of material properties as the excipient makes its way through the HME barrel. In the context of using the extrudate for 3-D printing of tablets, a DOE was carried out to investigate the impact of total energy (mechanical + thermal) imparted on the excipient through the HME barrel. As shown in Table 1, the HME screw speed was varied from 100rpm to 1,000rpm at three different barrel temperatures (150°C, 180°C, 210°C), while keeping the feed throughput constant. Principal component analysis (PCA) was performed on the DoE process data using PharmaMV. 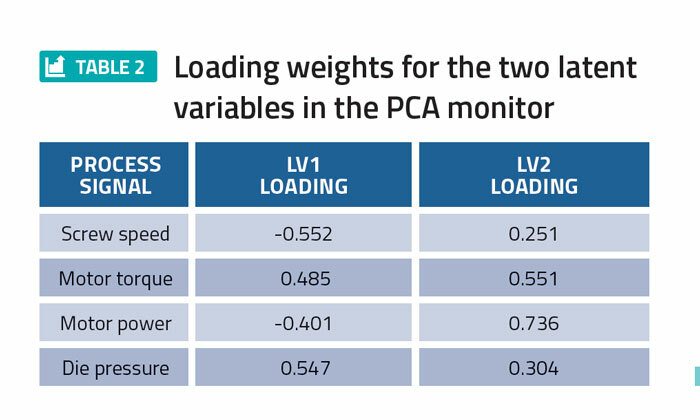 In particular, a two latent variable (LV) PCA monitor was designed using the screw speed, motor torque, motor power and die pressure. The LV loadings associated with each of these process signals are provided in Table 2. Table 2 shows that the first latent variable primarily describes the variation in the screw speed and die pressure, whereas the second latent variable captures the variability in the motor torque and power. The PCA score plot for the process data is shown in Figure 2. From Figure 2, it can be seen that as the screw speed increases, the score clusters (expectedly) move to the left due to the negative LV1 loading. Furthermore, for a given screw speed, as the barrel temperature increases, the material viscosity reduces and therefore the motor power/torque decreases. This causes the score value of the second LV to reduce, which explains the downward trend associated with temperature increase within each cluster. The clustering and data correlations in Figure 2 show that the HME process lends itself to insightful analysis through multivariate techniques and consequently the design of PLS soft sensors for monitoring of the CQAs. The impact of total energy imparted within the HME – including both mechanical energy from screw speed and thermal energy from the barrel temperature – on polymer degradation is also reflected within the extrudate colour changes, as shown in Figure 3. From Figure 3, it is clear that, even with a fixed barrel temperature, the extrudate degrades and darkens as the screw speed increases. 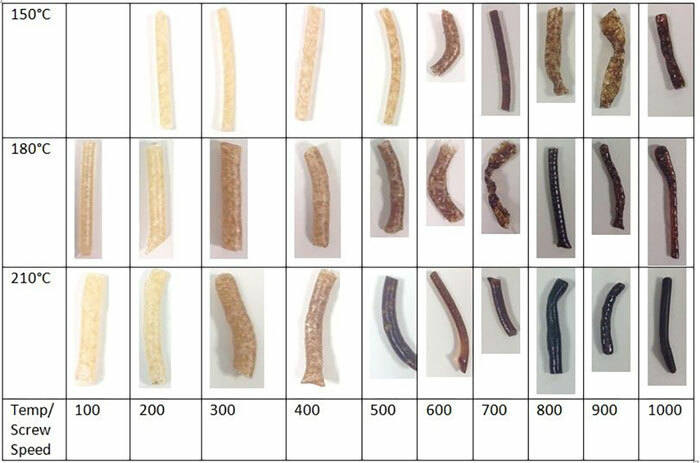 These results show that the material can be sensitive to both heat and shear. 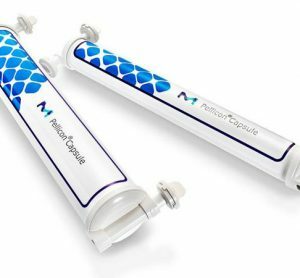 This presents certain challenges for downstream processing of the extrudate, including 3-D printing of tablets, as discussed below. To 3-D print tablets in a conventional way, the HME extrudate is first cooled to produce a solid filament. The filament is then mechanically fed, re-melted and finally printed into tablets using a 3-D printer. This workflow introduces constraints and specific property requirements from the formulation to successfully produce the 3-D printed tablets. Furthermore, the re-melting of the filament has the potential to cause material degradation since the excipients (and APIs) can be sensitive to energy input, as demonstrated above. An alternative approach currently being investigated under the REMEDIES project (see acknowledgement) is to directly feed the melt from the extruder die zone to the print head. This has the advantage of removing some of the process steps and constraints, minimising the chances of material degradation and reducing waste material. Some of the tablets 3-D printed with paracetamol and AFFINISOL using the above approach are shown in Figure 4. 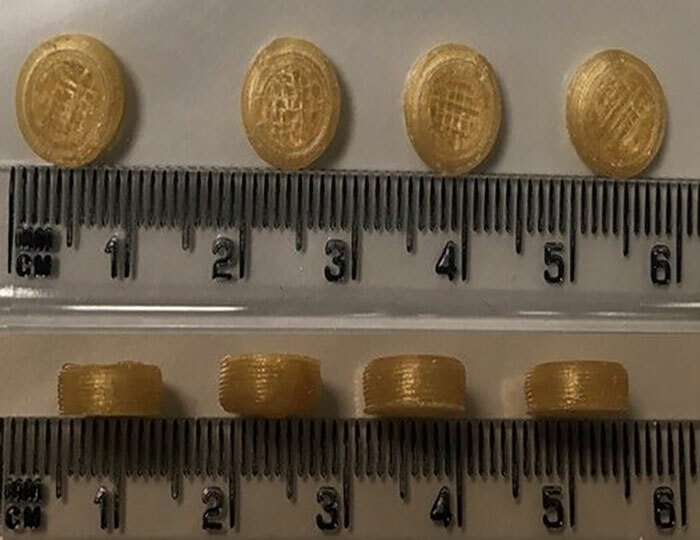 The impact of the mechanical properties (stress-strain characteristics) of the filament, as well as drug loading on the 3D printing capability, is currently under investigation. Hot melt extrusion is an emerging technology for the continuous manufacture of drugs within the pharmaceutical industry. One key advantage is the ability to produce a variety of formulations, such as solid dose forms, which improve drug bioavailability. Furthermore, inline PAT tools can be integrated with the HME process to support a QbD approach to continuous manufacturing. 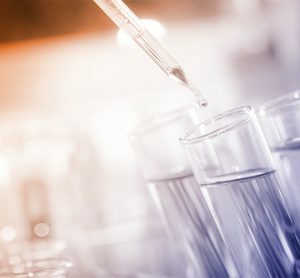 Perceptive Engineering, in collaboration with CMAC, as part of the REMEDIES project has developed a multivariate analysis and monitoring scheme for the pharmaceutical HME process. The scheme monitors various key process/material parameters within the HME, which is important for successful downstream 3-D printing of tablets from the extrudate. 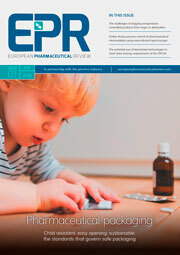 The work presented in this article was carried out in collaboration with the Engineering and Physical Sciences Research Council (EPSRC) Centre for Innovative Manufacturing in Continuous Manufacturing and Crystallisation (CMAC CIM), as part of the research and development project titled ‘RE-confi guring MEDIcines End-to-end Supply’ (REMEDIES).3 This three-and-a-half-year collaborative project commenced in December 2014 and includes several project partners including Perceptive Engineering, CMAC, AstraZeneca, GSK, GEA and PSE. 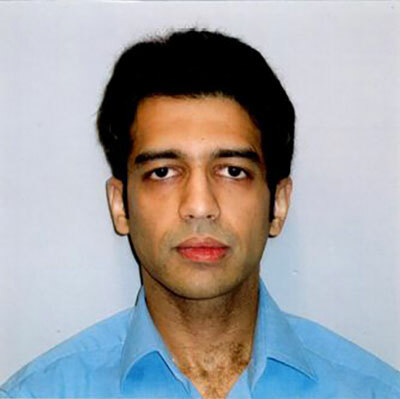 FURQAN TAHIR is a Consultant Engineer with Perceptive Engineering Limited, UK, where he has worked since 2014. He received his undergraduate degree in Electronic Engineering from GIK Institute, Pakistan. He then went on to obtain his MSc and PhD degrees in Control Engineering from Imperial College London. His research interests include: multivariate process monitoring, model predictive control, robust control and process optimisation. DAVID LOVETT co-founded and became Managing Director of Perceptive Engineering in 2003. David has been a chartered engineer for 25 years and is on the board of a variety of process industry steering groups, including the Innovation Strategy Team and Process Control and Analytical Measurements Apprenticeship scheme.